The 5,500-mile distance from Austin, Texas, to Munich, Germany, melts away with NexusHaus, a U.S. Department of Energy Solar Decathlon 2015 project that combines students from the United States and Europe. Decathletes from the University of Texas at Austin and Technische Universitaet Muenchen in Germany have drawn upon shared interests—especially the energy-water nexus of sustainable practices—to create an ultra-efficient solar house. The only slight disagreement came over the title of the project. It helps that Austin and Munich share cultural bonds. A wave of immigration around Austin gave the region German roots. These days, residents of both Austin and Munich enjoy outdoor beer gardens and relaxing in public spaces. There are technological parallels as well. Germany’s electric system is rapidly moving away from fossil fuels and toward renewables such as solar energy and wind power, while Texas is a leader in developing wind energy. Both grapple with integrating intermittent renewable power into electricity grids, and both are increasingly aware of the need to conserve resources such as water. Upshaw says the house’s name encompasses what the team is trying to address—a nexus of four interrelated elements: energy, water, population growth, and sustainable food production. “The idea is to build a house that is water self-sufficient, is net-zero energy, and has thermal storage,” Upshaw says. Integrating solutions is the challenge, which was part of the learning process. Not everything goes smoothly at first. The European preference for clean architectural lines, big windows, and sustainable materials is evident in the 784-ft2 modular urban home. 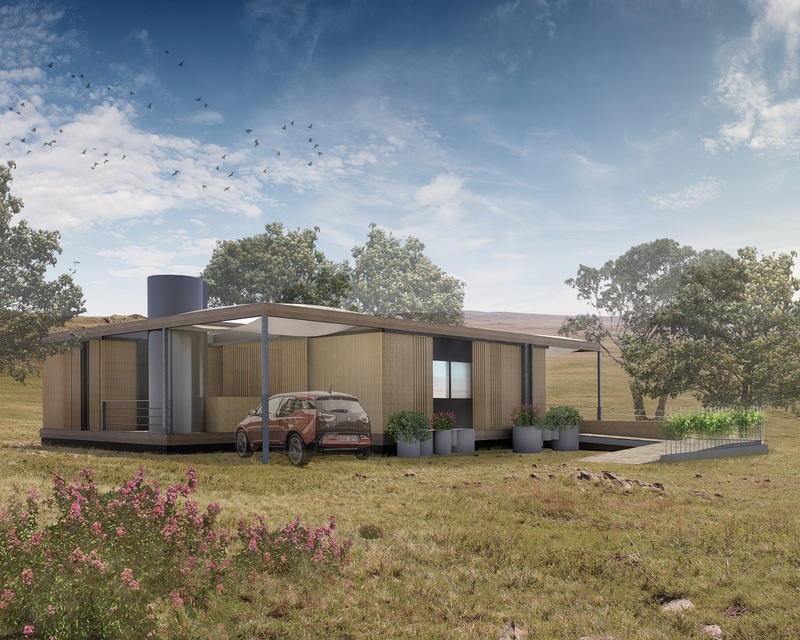 The compact size is crucial because the team envisions the house as a prototype for “accessory” housing, such as a second house on a residential lot. Within Austin city limits, where the house will likely end up, this type of house could be installed on about 40,000 lots. To address the varied and unique challenges that come with building a new structure on an already developed property, modularity and flexibility are central design themes. In Austin, and across Texas, there’s constant pressure from growth. “Population is projected to increase by 80%, while water supplies will decrease by 10%,” says Upshaw, an Austin native. Upshaw also says that Austin’s reservoirs have only been about a third full for several years because of drought conditions. To help conserve water, NexusHaus uses its modular multipurpose canopy to collect rainwater and direct it to the under-deck storage system. It is also designed to recycle greywater—defined in Texas as water from showers, bathroom sinks, and washing machines—to support outdoor urban farming. The team will pump greywater for vegetables such as tomatoes and okra, and an aquaponic system will support fish such as tilapia and water plants in a symbiotic system. “There’s a strong urban farming movement in Austin, and this would be part of that,” Upshaw says. Technische Universitaet Muenchen students will head to Austin this spring to help with construction. The group will benefit from advice from University of Texas at Austin veteran decathletes. The school has participated in three previous U.S. Department of Energy Solar Decathlons—including the inaugural event in 2002. “We’ll try to leverage as much knowledge as possible,” Upshaw says. 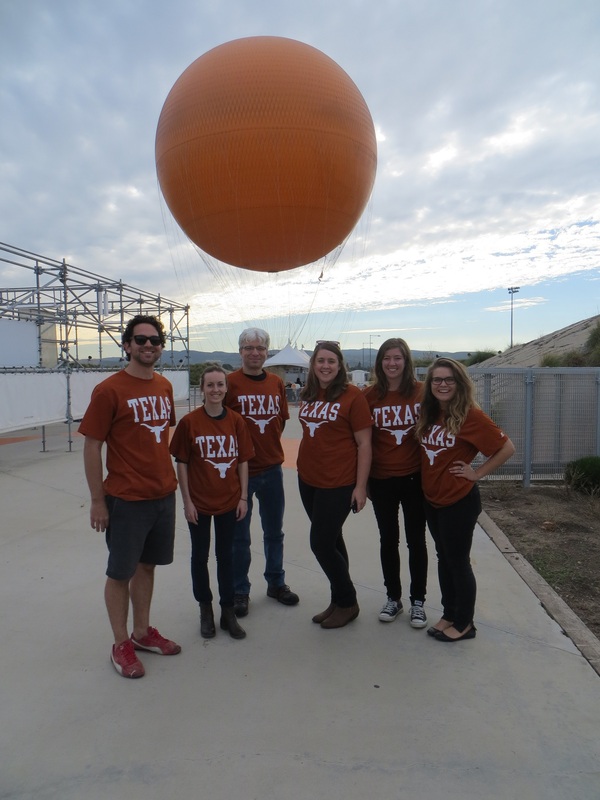 This entry was posted on Tuesday, February 10th, 2015 at 12:53 pm and is filed under Solar Decathlon, Solar Decathlon 2015, Teams, Texas/Germany.